I am going to go out on a limb here and say that spring really is here to stay as we inch closer to April. With that in mind, I wanted to find a wedding cake that was all about nature and spring-like things. I think this “woodland” wedding cake is that cake. Our friends at Hockleys Cakes created this one-of-a-kind wedding cake for a bride and groom who “love everything woodland.” I am in awe just looking at this cake and taking in all the incredible details. I always enjoying finding cakes that are whimsical and add an element of fun to the wedding reception. This cake from our friends at Hockleys Cakes is just what I was looking for! 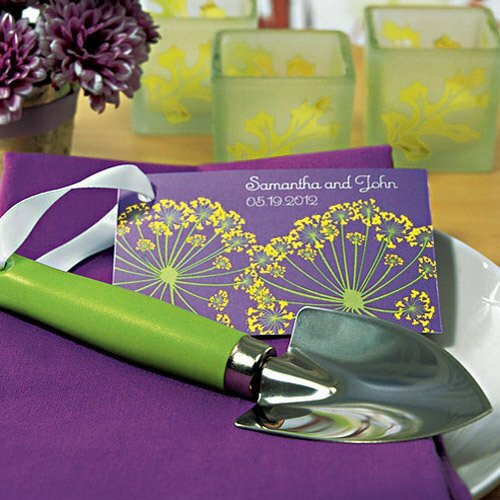 It’s whimsical, fun, and even has a spring-like look and feel to it. The four-tier cake was created for a bride and groom who were celebrating their big day at an old stately home, according to Michael Hockley. 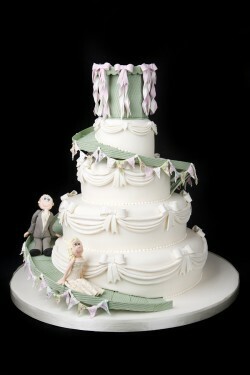 The couple wanted a “vintage fairgroud” feel to the reception and wanted their cake to fit the bill. Bubbles are one of my favorite things. They’re fun and whimsical and oh so bubbly! And you can’t help but smile when you think of bubbles. Even the word itself is funny. Say it with me – bubbles! Which bring us to today’s wedding cake that is surrounded by bubbles. 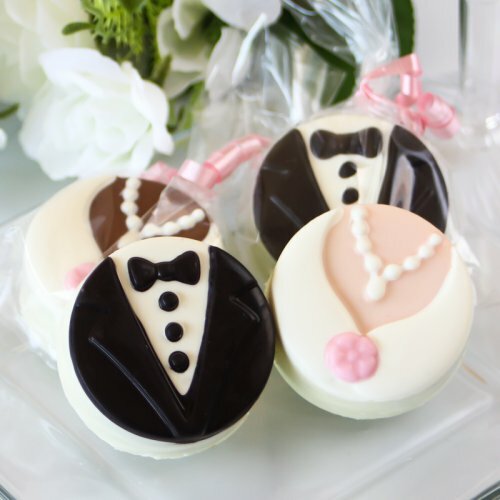 I really like the idea of giving your guests a sweet treat to take home and these ‘Bride and Groom Oreos’ are the perfect sweet favor. Yes, it’s true! The first day of spring is this tomorrow and therefore I’m focusing on all things pretty and floral and springy. 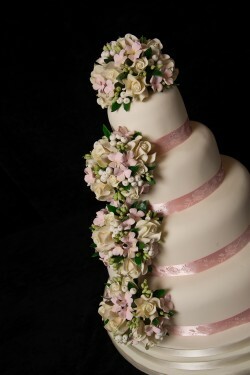 Just like this beautiful wedding cake adorned with balls of flowers. This gorgeous contemporary wedding cake – called the ‘Marlborough’ – is another incredible creation from our friends at Hockleys Cakes in the United Kingdom. 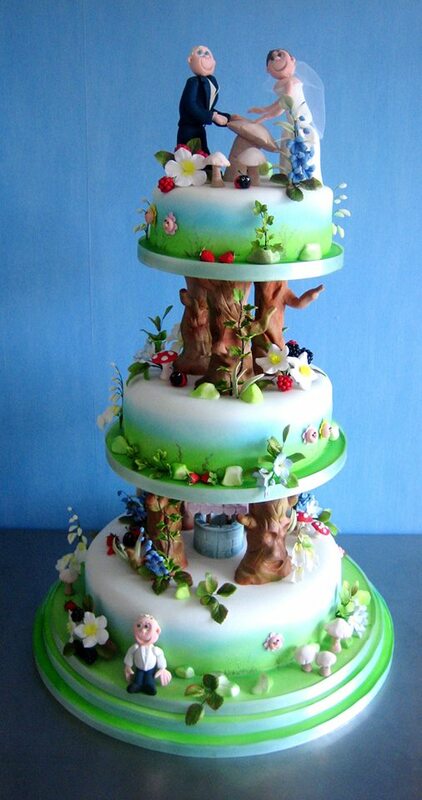 It isn’t easy being green, especially when it comes to wedding cakes. But since we’re celebrating St. Patrick’s Day today, I wanted to find a cake that had a little bit o’ green in its design. In my search for all things spring I happened upon these cute (and very sweet) personalized jars of honey and I just had to share them! 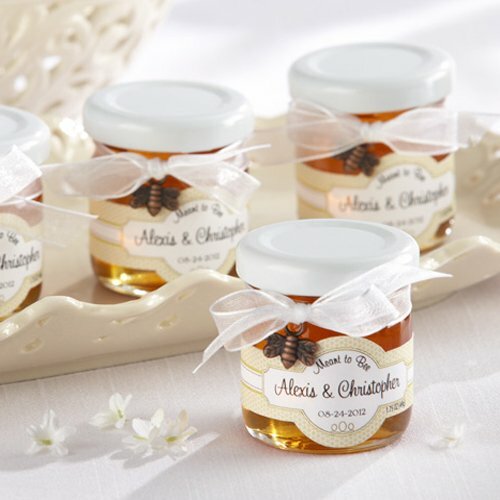 Now when one thinks of wedding favors for your guests I’m guessing jars of honey might not be at the top of the list. Which is why these are absolutely perfect! No one would expect to get a jar of gourmet clover honey at a wedding reception. 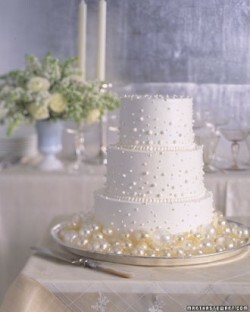 Sometimes you find a wedding cake that just knocks your socks off, and today I’m sharing one of those cakes with you. 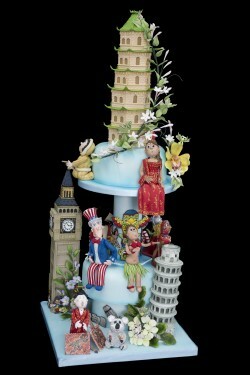 This is the “Around the World” wedding cake from our friends Hockleys Cakes in the United Kingdom. Spring is finally in the air! Can you feel it? I certainly can. 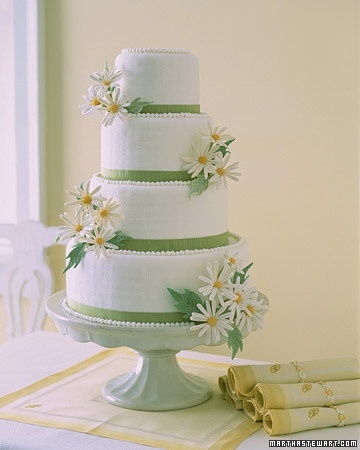 And that’s why today I’m featuring a lovely yellow cake – because it reminds me of sunshine and spring and it has a warm and sunny feel to it. Don’t you just love this gorgeous confection? 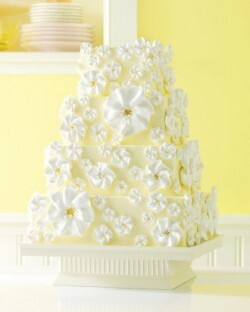 I’m not a huge fan of yellow, but this cake is subtle enough that the yellow icing isn’t garish or overly-bright.